You need to have credit card sense if you own a credit card! It is simple, understanding how a credit card works and the best way for you to utilize the card to your best advantage is the only way you will win using a credit card! A credit card in the wrong hands is a dangerous item, it can add to your financial worries and reduce your available income every month! It is not easy to pay off and it is not always great for your financial situation if you don’t know how to use it properly! Obviously, a credit card company wants you to use the card and always carry a balance on the card, they make money on the interest you pay! But, for any individual who wants a credit card, this is not the sensible way to use one! The only way to use a credit card and to win is to pay the balance off in full every month! You then get the benefit of using the card, sometimes it can give you a longer guarantee on your purchases, check with your card for these conditions, without the interest added to the purchase. If you don’t intend to pay off the balance in full every month, a credit card mightn’t be the answer to your financial situation! The idea of using debt to build up the available credit, in itself sounds odd. However, it shows the credit company that you are a safe bet if you are paying your bills on time every single month. If you need help with your money, a complete money makeover then Dave Ramsey is an expert on the managing and setting up a budget! The simple answer to this question is no unless you pay the balance in full every month and your payment date is before the beginning of the month. Your credit limit readjusts itself when you pay your balance, if you are not paying the full amount back, your credit limit will be minus the amount you still owe. The pros for using a credit card, must, for you, be stronger than for not having one. It is a personal preference to have a card, as well as having the right credit score, just make sure you use it sensibly! The cons for using a credit card, for me, these are stronger and one reason why I won’t have one! I just don’t feel that I have control of my money when using a credit card. I dislike the idea of owing a company any money and if you are looking to improve your credit rating you have to wait until the bill comes in to pay it off otherwise you aren’t getting the true benefit of your card. Read this article about credit card myths, if you are wanting more information on why you shouldn’t pay off your credit card mid-month if you are looking to improve your credit score! For me, I don’t see the appeal of a credit card, I think they can end up costing you money especially if you don’t pay off the balance every month! However, there are reasons to use a credit card if you are able to control your spending and you get a great cash back or another offer then a credit card can make you money. You are spending the same as normal, paying off the bill monthly and then receiving a cash back amount, this often adds up and paid annually, so you actually make money from the credit card company. I was reading an article on the reasons behind why more people are comfortable using a credit card for large purchases compared to using cash. I was so surprised that there is evidence to suggest that people don’t have that psychological barrier when it comes to using a credit card, the same as they would if they used cash! If you want to read this article, I have included a link for your convenience that goes over the basic information of using a credit card! 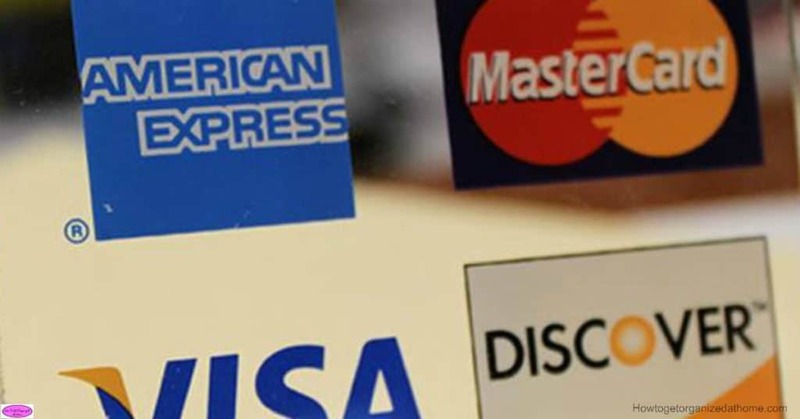 What is your best tip for using a credit card sensibly? Comment below! Therefore, I think it is so important that you consider carefully your position when it comes to credit cards. Be careful and use them wisely, to pay off the balance in full every month; if you can’t do this, consider alternative options that charge a lot less interest every month! Looking for more articles on finance? How To Create A Debt Reduction Plan is a great place to start!